Windowman & Sons have been supplying and fitting uPVC double glazing for over 30 years to residents and businesses in and around the Hertford area. Some major benefits of replacement uPVC windows is the design choice on offer, the versatility, strength and durability. They've grown to become one of the most popular types of window around today with stylish clean lines that effortlessly compliment a variety of house designs. Other benefits are that they'll never rot, rust or need repainting, perfect for the varying British weather. They are very low maintenance, just requiring the occasional wipe down with a damp cloth. 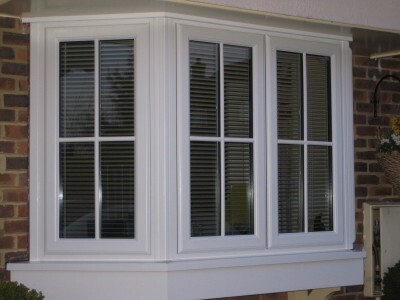 UPVC windows provide exceptional security by means of their multi locking system and toughened frame. They are highly energy efficient and help to reduce noise from the outside world. Being such and integral part of your home aesthetically we can offer you an extensive range of popular colours and finishes to compliment your home. These include some of the more popular colours such as White, Cream, Rosewood, Light Oak, Irish Oak, Grey, Black and Chartwell Green. For more information on window installations and our window services please call 01992 558637 or email us.